How difficult can it be to write a blog post once a week? After all, I LOVE to write. I enjoy helping others with food allergies and celiac disease. I don’t mind sharing embarrassing details about my life with complete strangers. So why haven’t I written anything these past weeks . . . uh, months. I’d like to tell you I found a cure to my food woes and have been travelling around the world teaching others how they, too, can cure their leaky gut. I’d like to tell you I discovered a magic pill to make my and my son’s celiac disease disappear. I’d like to tell you I’ve been out promoting a book that remedies food allergies within weeks. Of course, none of these things are true. The truth is I haven’t felt like focusing on my health issues. I got SICK of being SICK. When I was first diagnosed with multiple food allergies, I was told I could stop my leaky gut by eliminating offending foods. Once my gut was healed, I could slowly re-introduce those foods. Didn’t happen. I am STILL allergic to soy, dairy, corn, capers, asparagus, vanilla, nutmeg. I know this because every so often some waiter or a well-meaning friend poisons me with one of these foods. I recently began Weight Watchers. Yes, even though I cannot eat anything, I am fat. I sit in those meetings listening to the leader say how I can eat ANYTHING if I just keep track of those points. Pizza. Cake. Cookies. Nothing is off limits. Uh, she hasn’t met anyone with severe food allergies or celiac disease or eosinophilic esophagitis, has she? Having so many food restrictions as well as a broken metabolism just doesn’t seem fair. At least if I have to eat fish without butter sauce, or ribs without barbecue sauce, or rice noodles without teriyaki sauce, let me look good in a bathing suit! In addition to getting sick of being sick, I also started a pity party. Without making any sort of formal decision, I took a break from blogging. Rather than read the latest allergy studies, I went to the golf range. I stopped writing and began a new boutique business. I read fiction instead of allergy-free cookbooks. I helped a foster care mom with her foster kids and took over my elderly mother’s finances. Doing all these things rejuvenated me. I may have a lousy autoimmune system, but I can still swing a golf club. I can build an entire business from the ground floor. I can make a difference in other people’s lives. What I discovered while taking a break is this: My illness is a part of me, but it does not define me. Though I hadn’t written anything new in months, people continued to read my old posts and comment. They emailed me their food allergy stories. They told me I helped them. And this is why I am returning to blogging–to help. In return, you always help me. I’d love to hear how your food restrictions don’t hold you back from living life to the fullest. A distinct mildew odor assaulted me as I entered the small rental house. Looking up, I noticed water spots on some of the rooms’ ceilings. Mold dotted the kitchen counters and bathroom sinks. I imagined the wall-to-wall carpeting hadn’t been vacuumed since renters moved out months ago. My chest tightened and my throat itched. I started to cough and sneeze. This house was a breeding ground for allergens. I quickly left. I’ve been allergic to mold and dust mites since childhood and my oldest son inherited my allergies and asthma, so I’ve always followed doctors’ orders for keeping an allergen-friendly home. Experiencing a reaction to this rental house reminded me of what would happen if I didn’t–and that maybe I should do a little spring cleaning. The following infographic from AllergyCosmos offers many simple tips for eliminating allergy and asthma triggers from your home. I’m forwarding it to my son who is now living on his own. I hope you find it useful. Be sure to let me know what you do to keep your family safe from allergens. Spring Cleaning; How to Make Your Home Allergy Safe originally appeared at Adventures of an Allergic Foodie. 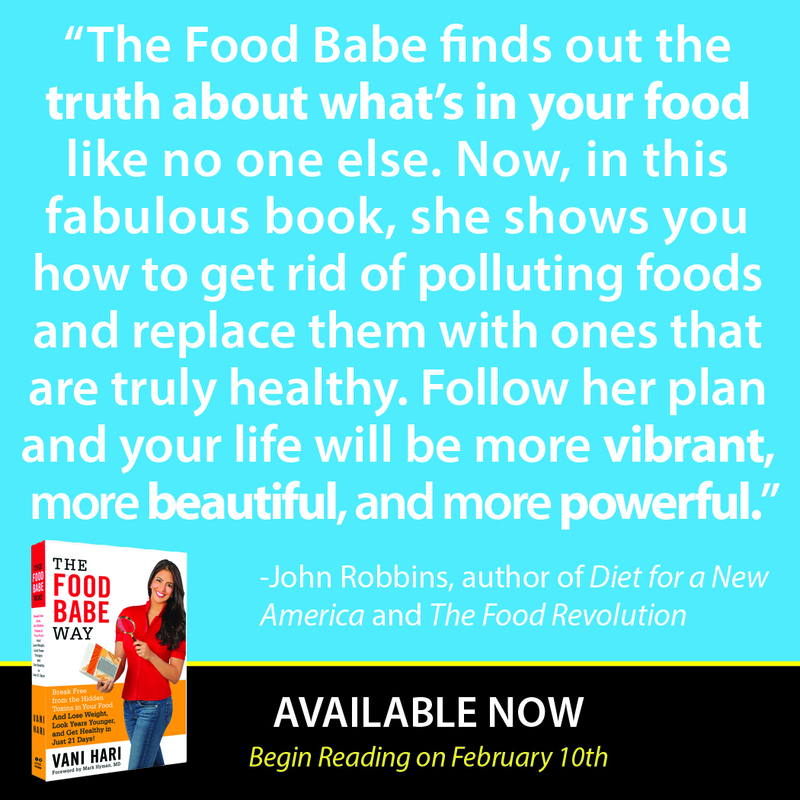 The Food Babe Way by Vani Hari hit number one on the New York Times bestseller list last week. This says a lot about how our country feels about the food industry. If you haven’t heard about Vani Hari, aka the Food Babe, you will. She’s the lady who decided several years ago that she was sick and tired–literally–from eating crappy food, so she took on the momentous task of telling food companies to stop contaminating our food with chemicals and additives. With the help of millions of like-minded folks–which she calls the Food Babe Army–and in less than three years (three years!) she’s succeeded in getting companies like Chipotle and Kraft and Subway to eliminate controversial ingredients and be more transparent in labeling. I began following the Food Babe on social media and joined her activist army soon after I was diagnosed with multiple food allergies and celiac disease. I didn’t need a PhD in nutrition to figure out if my body was rejecting food, there must be something wrong with the food I was eating. Vani Hari’s blog shed light on the toxins I’d been unwittingly putting into my body for decades. 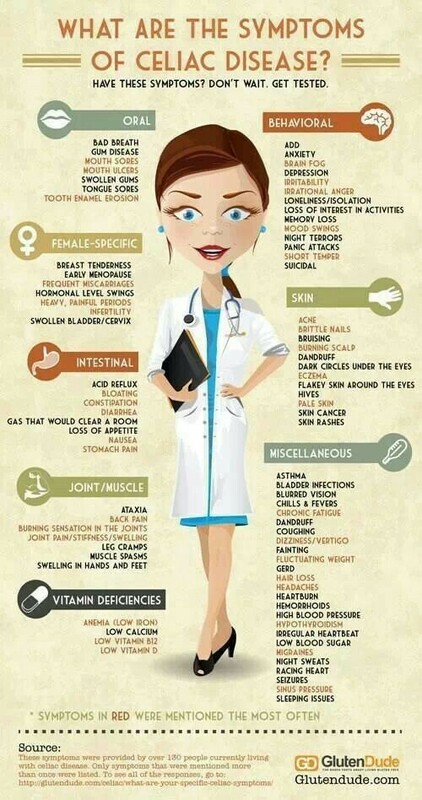 Add these to the multiple rounds of antibiotics and painkillers I consumed for several years for a chronic health problem, it’s no wonder my gut sprang a leak. More importantly, Hari’s blog taught me what I should eat. When her book came out this month, I was slightly worried that it would be another diet book by someone who was probably always slender. I mean she’s called the Food Babe and she is tall and thin and beautiful as the book cover clearly shows. Watch this video and you’ll see she struggled with weight like most of us. She is also smart–and a bit sassy which I like. Within the first few pages, I was underlining facts and figures, jotting down notes, and starting her 21-day program. Warning: Your significant other will not appreciate being told the same chemical used to make Silly Putty is most likely in the fastfood French fries he’s popping into his mouth. About halfway through the book, I experienced an epiphany. Many of the good food and good habits that Hari outlines, I was already doing–because of my celiac and allergies! My body had rejected soy and corn and gluten and dairy, so I no longer eat GMO-infested processed foods. I eat organic as much as I can. I buy additive-free and antibiotic-free meats and wild fish. I cut back on soda and alcohol. I don’t eat fastfood. I often tell people the positive side of my celiac and food allergies is that I eat better foods and I cook more. But what if I’d done this long ago? In my teens and twenties, I thought the low-fat food I ate and the diet soda I drank were good for me; now I know I was swallowing fistfuls of chemicals and additives. When I was a tired mother, I was convinced it was faster to feed my family Taco Bell between hockey practices than make a homemade meal. When I went out to restaurants, I never questioned what was in the food I ordered. I snacked on whatever was available in airports and hotels. All of these bad habits and bad food choices resulted in serious health consequences. I believe if I’d followed the 21-steps in The Food Babe Way in my younger days, I wouldn’t be facing the health issues I am today. Of course, it’s never too late for any of us to make changes in our dietary habit and to start letting the suppliers of our food know we want accountability. It’s certainly not to late to teach our children good eating habits. Here’s the other cool thing about Hari’s book–most of her advice for eating and cooking and shopping and traveling are fit for allergic foodies. So go get a copy of The Food Baby Way today and let me know what you think. 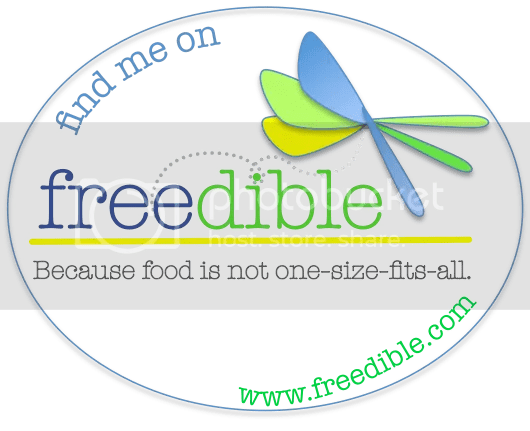 The Food Babe Way Can Help Those with Food Allergies first appeared at Adventures of an Allergic Foodie. 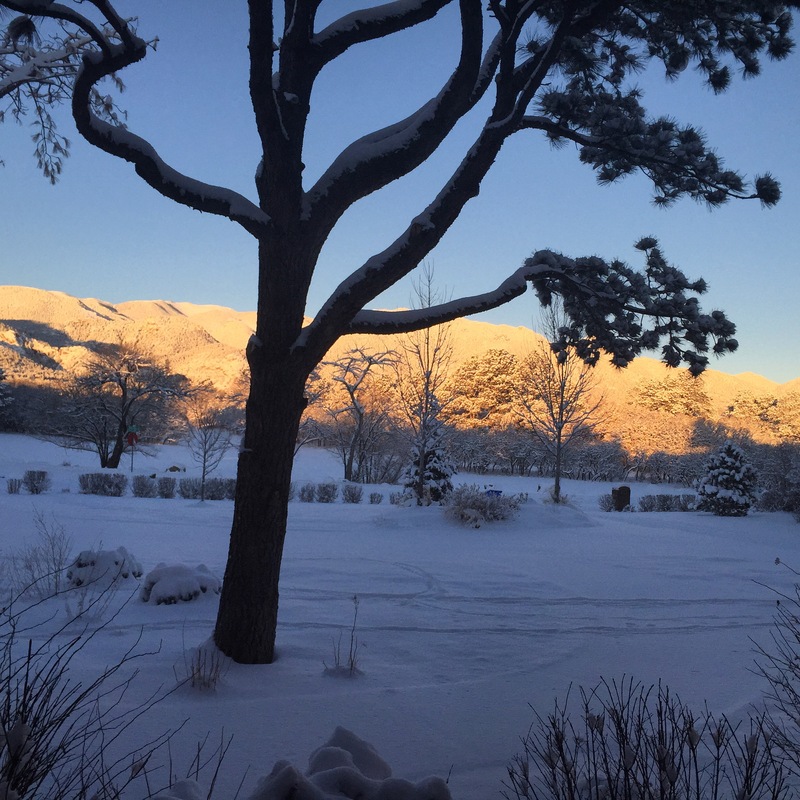 I photographed this morning’s shadows on the snow-covered mountains before I’d even had a cup of coffee. If I waited too long, the sun would shift and the view would change. I’ve been reminded this week to appreciate life’s moments. Life as you know it can change in an instant. A friend I met through blogging, Kathryn Chastain Treat, passed away a few days before Christmas. Her daughter posted this news on Kathryn’s blog. Though I’d never met Kathryn in person, she was more of a friend than some people I see daily. We supported each other through emails and Tweets and Facebook posts. I got to know Kathryn and her family while reading her book, Allergic to Life: My Battle for Survival, Courage, and Hope. 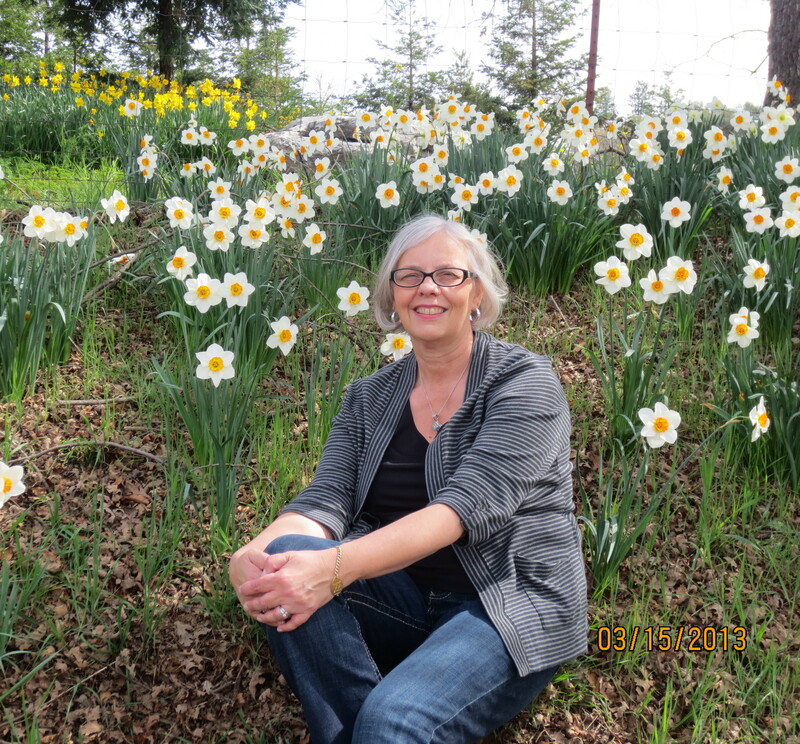 She was a vibrant and healthy woman until toxic mold changed her life forever. Learning about how she was forced to live in physical isolation made my food allergies and celiac disease seem silly. However, she never made me feel that way. Kathryn always had a kind word to say. I will miss her. I encourage you to read Kathryn’s book. You can find it on Amazon. My reviews: Part I and Part II. Last week I wrote about the hidden risks of vegetable oil and received many insightful comments. Several readers shared their horrific experiences of anaphylactic reactions when restaurants served them food prepared in the wrong cooking oil. 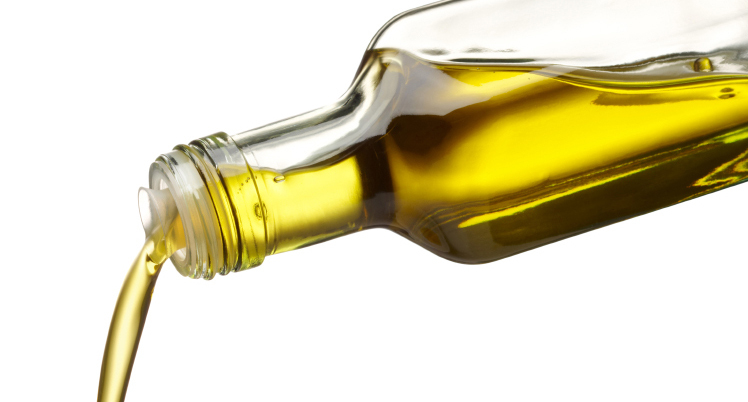 Please don’t just ask what cooking oil the restaurant uses–ask to see the bottle. If the restaurant doesn’t want to show you, leave. Don’t take a chance. In this same post, I shared my frustration with highly refined soybean oil and soy lecithin being excluded from the FDA’s allergen labeling requirements. Some of you only react to soybean protein, but others of you are highly sensitive like I am. Maya Trimner of Maya’s Happy Place sent me this petition asking the FDA to include all soy derivatives in food and drug allergen labeling. Anyone with any food allergies understands the consequences of eating the wrong food. Please won’t you sign this petition and share with your followers? Enough musing . . . . time for a morsel! I’ve been wanting to share this new product since our lunch was served in it at the Food Allergy and Celiac Convention last November. 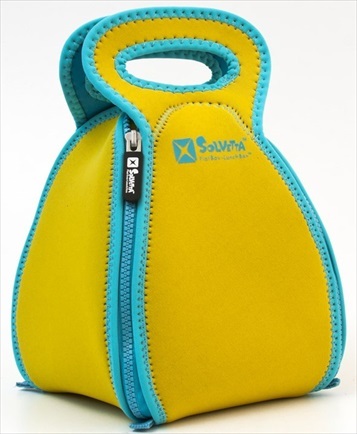 This lunch box unzips and lays flat, serving as a place mat. As an Allergic Foodie who travels a lot, I love that I can keep my eating surface clean and free of potential allergens. Think about those disgusting airplane trays and the tailgate of your car. I also take my allergen-free meal into fast-food restaurants where my husband eats. Now I don’t have to worry about asking the restaurant folks to wipe down the tables. They especially like doing this when they see I’ve brought my own food. These Flat Box-Lunch Box are great for students, too. Visit Solvetta’s website to see all the sizes and colors and order yours. I got pink. In closing, remember to appreciate the moments.